Motto: "We of the sword long for the days, when we can cross another's sword, in a battle or a war!" 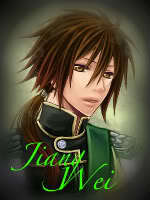 Personality: Sun Qwanh is a proud and venerable warrior who tries to keep his lineage unextinct. He is a patient, collected, diligent individual and also very strict. To protect his family's future, he strives to only take calculated risks and bides his time for his home's wars. Though known for his no-nonsense attitude, he softens with his friends and treats them with sincere respect. He also turns into quite the party man whilst drinking at banquets, though it's not known if he can hold his liquor very well. Description: This skill permits is a passive skill that is basically an improvements in many domains that a normal human could not have. Such as strength, speed and senses( Odoour, Feel, Taste, Hearing and Look). History: Usually gained through immense training. Sun Qwanh has been trained by the main branch for a long enough time to develop these skills. Description: The user knows multiple forms of martial arts plus sword arts that are only practiced by those from the Sun. History: He was taught when sent to the Sun's main branch palace. Description: When concentrated, the user may conduct the resistance of metal towards one of his limbs using for defense or offensive use. History: : An ability that was granted him. He doesn't know where he attained it but somehow he can use it freely. Abilities: The sword is almost unbreakable. Crafted with the finest ores, this sword has known the ravages of the battlefield. It represents the might of the Sun family. One of it's special abilities is that the user may be able to solidify itself if overused. Sun Qwanh was the son of Sun Sui. A fanatic of the main branch from the Sun family. Sun Sui named his son in the honor of Sun Quan's leadership. However growing up, Qwanh was the type of hot-headed kid who had pretty much the personality of Sun Ce. Disappointment grew within Sun Sui, so he decided to send his son away to Jian Ye to live with Sun Quan so he could heed his teachings. 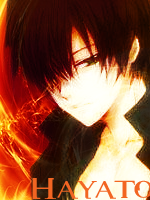 Then as time past by, he was able to mature much faster then most of the other kids from his age. He became more and more like Sun Quan and forgot all about his older personality. He even developped the party-like attitude that Sun Quan had. Then finally it was time for Sun Qwanh to depart back to his village near He Fei. As he arrived, he saw his city was recently raided by an unknown force which he had no clue of. Quickly he tried to find his father but ended up in vain. Trying to find where his father remains, he decided to officially join Wu as a soldier. He quickly rose within the rankings creating jealousy and corruption. However since Sun Quan was the leader of Wu at that time, he would find those who are corrupt of mind and would have them exiled from Wu territory. A close friend to general-strategist Lu Xun and Sun Quan, Sun Qwanh had now decided to aid his lordship to future his envisionments of unification of the land. You do know that you can't be a symbol right? All the symbols are filled up but you can be a human with symbol-like powers...like me. Oh alright cool. I'll edit it. I'm assuming your weapon has no special abilities?